MELVILLE, N.Y., March 29, 2017 – Canon U.S.A. Inc., a leader in digital imaging solutions, announced today that its parent company, Canon Inc., announced that the Company’s interchangeable-lens digital cameras have maintained the No.1 share of the global market for 14 consecutive years from 2003 to 2016. Canon Inc., which develops the key components featured in its interchangeable-lens cameras—CMOS image sensors, image processors and interchangeable lenses — employs these cutting-edge technologies across its entire product lineup, from entry-level models that achieve high-image quality with easy operation to professional-use flagship cameras, effectively responding to the needs of a wide range of users. In 2003, the dawn of digital SLR cameras, Canon introduced its breakthrough EOS Digital Rebel. This groundbreaking camera, which was competitively priced and featured a compact, lightweight design, captured the top share of the global market and set the stage for growth in the digital SLR market. Since that time, Canon has continued to launch a range of epoch-making products, including the professional-model EOS-1D series and the EOS 5D series which paved the way for digital SLR video recording. During 2016, Canon introduced an impressive lineup of interchangeable-lens camera products that supported the Company’s achievement of a 14th consecutive year at the top of the global market. In March, the Company released the EOS 80D for advanced-amateur users, which features excellent still image quality and superb operability when shooting video. Then in April, the Company released its flagship model, the EOS-1D X Mark II, ideal for sport photography thanks to its 14 frame-per-second continuous shooting capability. The EOS 5D Mark IV, capable of 4K video, was then released in September. Additionally, the Company’s interchangeable-lens camera lineup expanded with the introduction of the high-end EOS M5 compact-system camera in November. Canon will continue to respond to the needs of its wide range of customers by further bolstering its lineup in 2017. 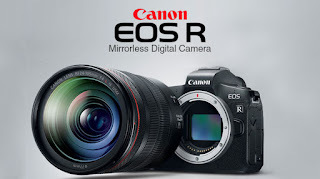 Already this year, the Company launched three new interchangeable-lens cameras equipped with the highly accurate autofocus technology, Dual Pixel CMOS AF – the EOS M6 compact-system camera, the EOS 77D and EOS Rebel T7i.